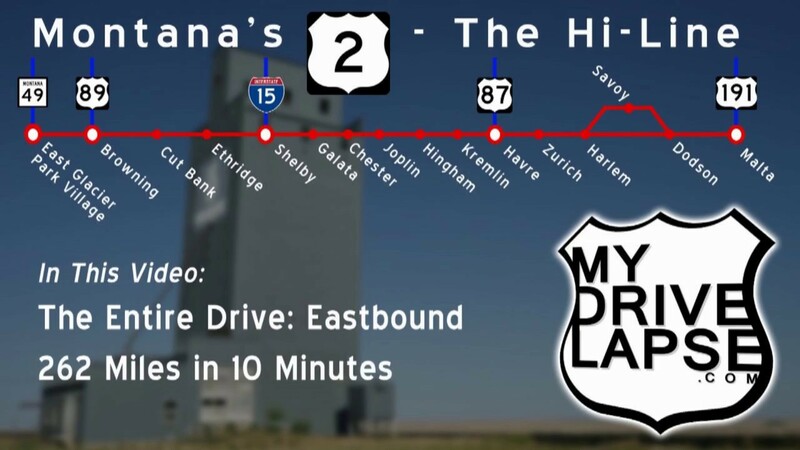 Here’s a look at the long (and somewhat monotonous) drive on US 2 across northern Montana – otherwise known as the Hi-Line. This is the short, fast version of the drive – if you’d like to see more detail of each town, or a faster version, follow the links below. US 2 continues east from Malta, but I had to turn south and head to Billings.